In the late nineteenth century, Waco became known as the “Athens of Texas” due to the several colleges and classical schools, eight newspapers, and scores of well-known politicians and writers located there. Despite this reputation for quality education, the city did not have a public library. Recognizing this deficiency, Isaac A. Goldstein joined with Willie Durham House, the first female head of schools in Waco, to form a library association of concerned residents desiring to establish a privately run library. Though there was much debate over the location, Waco’s first library eventually settled in a free room at Central High School. The library moved to its own building on North Eighth Street in 1900. As more and more of the Waco community became interested in the library, space became an issue. Goldstein convinced philanthropist Andrew Carnegie to provide thirty thousand dollars in the form of a Carnegie grant, on the condition that the city of Waco agreed to pledge no less than three thousand dollars per year for the upkeep and maintenance of the library. 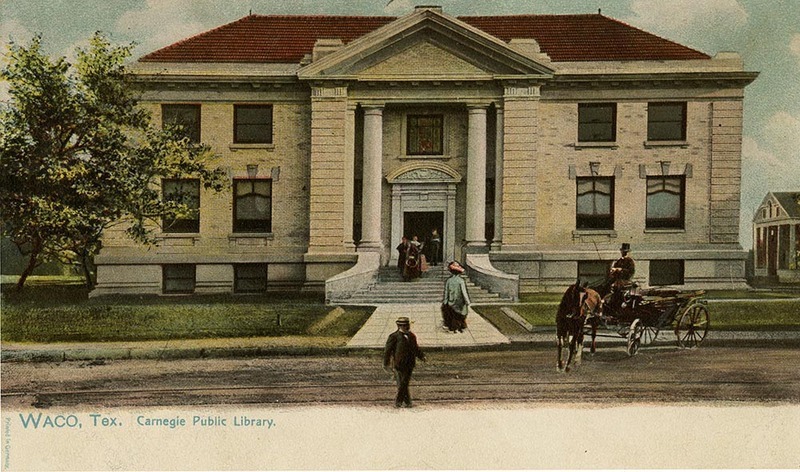 The city agreed to the terms, and on November 28, 1904, the Carnegie Library, located at Twelfth Street and Austin Avenue, opened to the public. In 1923, the River Street Branch of the library opened at Moore High School to serve African American citizens. In 1929, a fire destroyed the entire school, including the library. In 1937, an anonymous donor provided a building on North Sixth Street in order to establish a permanent library branch to replace the one in Moore High, becoming known as the Wheatley Branch of the library in 1939. Interest in library activities lagged until 1934 because of the Great Depression, and though it picked up once again in the years following, the library was short on space. 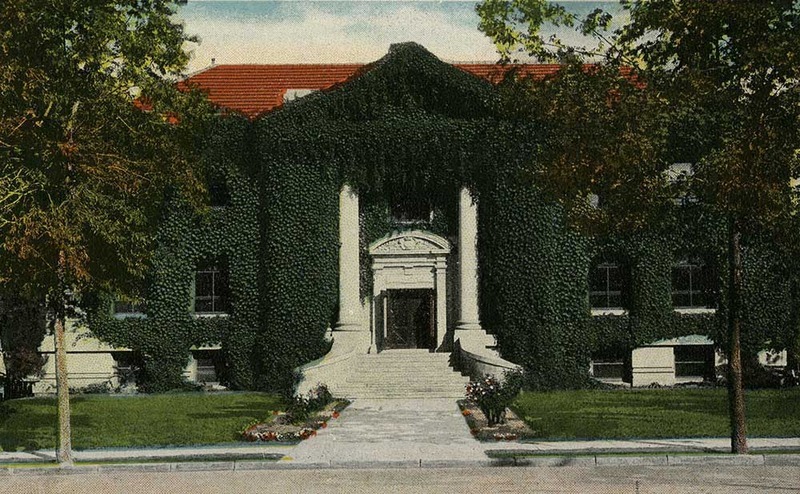 In 1941, Frederick Schumacher donated the William Cameron residence to the Waco Library Association on the stipulation that the building be used for at least twenty years as a library. After extensive renovations to the Cameron residence, the library was relocated. The library’s offerings had expanded considerably by 1950 to include services such as microfilm newspapers and books in Braille. In 1950, the Cooper Foundation made a donation for the creation of a Bookmobile. The Bookmobile served as a mobile library, travelling throughout Waco to places such as schools, nursing homes, apartment complexes, and the county jail. In the late 1950s the Waco Public Library yet again struggled with space. The only place left to store books in the Cameron House was the basement, which routinely flooded whenever heavy rains hit Waco. Also, the structure of the building had begun to weaken, making it clear that the Cameron House would not last to the end of the Schumacher agreement. 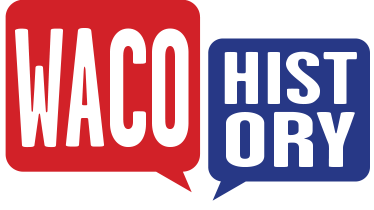 In 1960 the Waco Library Association handed control of the library completely over to the city of Waco and in 1962, the city established a new building at Eighteenth Street and Austin Avenue. In 1965, the Waco Public Library merged with the McLennan County Library. Before Isaac Goldstein and the Waco Library Association argued for the creation of a public library, education in Waco was available only to those who could afford it. 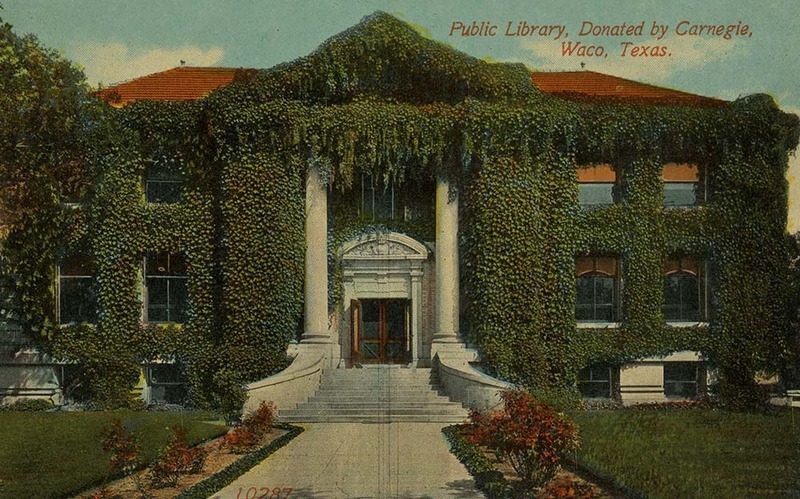 Through its continuous service to the public, the Waco Public Library made the education of the “Athens of Texas” accessible to all citizens, fulfilling Goldstein’s dream of uniting the community through knowledge. Today, this legacy is carried on through the four branches of the Waco-McLennan County Library. 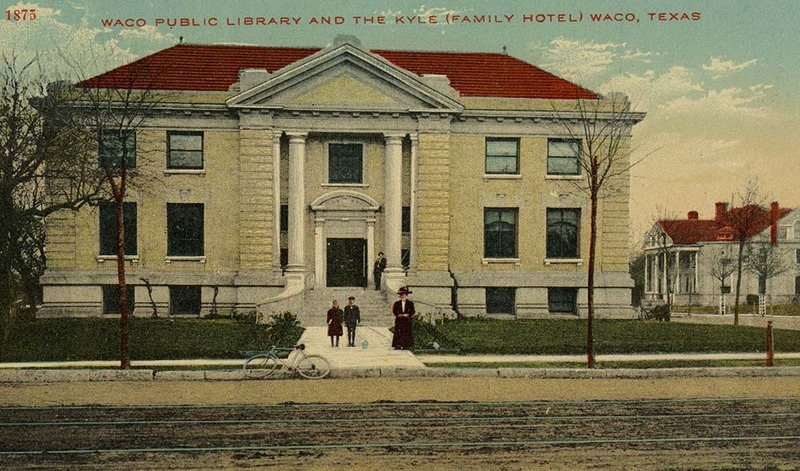 Amanda Sawyer, “Waco Public Library,” Waco History, accessed April 19, 2019, https://wacohistory.org/items/show/29. Darden, Bob. An Austin Avenue Legacy: 100 Years with the Waco-McLennan County Library. Waco, Tex. : Waco-McLennan County Library Margin of Excellence Trust Fund, 1997.Ryan, Terry Jo. “Brazos Past: Carnegie Library Made ‘Athens on the Brazos’ Accessible To All.” Waco Tribune, March 5, 2013.Santy, Alta Bert. “The Waco Public Library: Its Development and Services 1897 – 1957.” Master’s thesis, Texas Women’s University, 1958.